BRYAN EATON/Staff Photo. 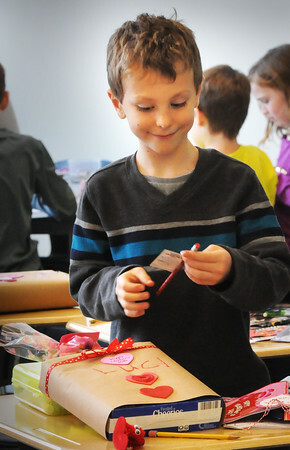 Luc Bickel, 8, checks out some of the items he received in his pouch during a Valentine's Day party in MaryEllen Hoiseth's class at the Breshanan School. In addition to cards, the children traded lollipops, Skittles, temporary tattos and here, a pencil.